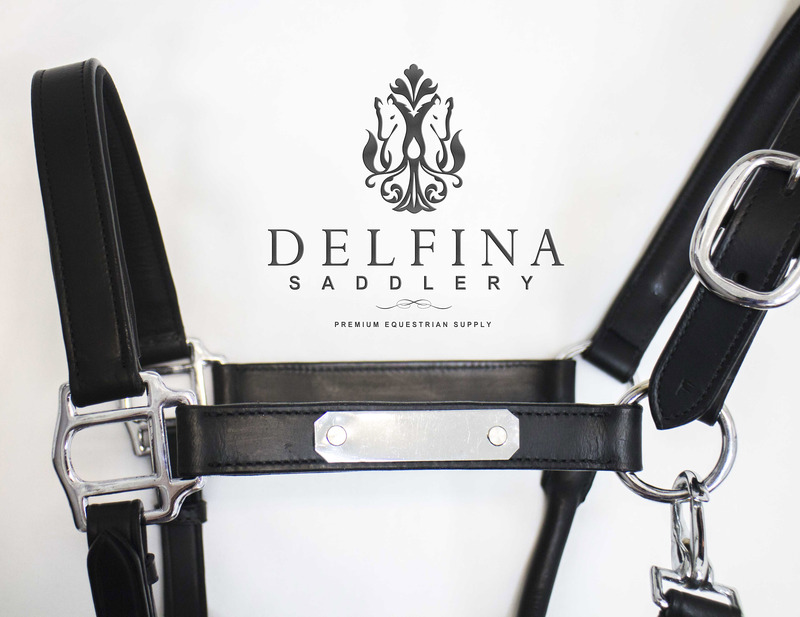 High quality leather halter with soft padding and chrome hardware. Does not include engraving. Black, Brown: 1.25" wide leather. Over nose 11.5" Under chin 11.5" (longest setting) with 5 holes 3/4" apart for adjusting. Cheek piece 6.5". Crown piece 25.5" in total length with 3 holes 1.5" apart for adjusting. Buckle end of crown piece is 3.25". Throatlatch strap 14". Strap connecting throat latch to chin piece 5.5"
1.25" wide leather. Over nose 12" Under chin 12" (longest setting) with 5 holes 3/4" apart for adjusting. Cheek piece 7.5". Crown piece 27" in total length with 3 holes 1.5" apart for adjusting. Buckle end of crown piece is 3.25". Throatlatch strap 15". Strap connecting throat latch to chin piece 6"
1.25" wide leather. Over nose 13" Under chin 13" (longest setting) with 5 holes 3/4" apart for adjusting. Cheek piece 9". Crown piece 29" in total length with 4 holes 1.5" apart for adjusting. Buckle end of crown piece is 3.25". Throatlatch strap 15.75". Strap connecting throat latch to chin piece 6.75"